Over recent years Perth has seen a growth in the demand for 2 storey homes, this may be the result of very competitive pricing (meaning it is better value to build a double storey home compared to a single storey) or maybe this is due to the perception that larger homes demonstrate a sign of wealth or status. Whatever the cause may be, this is a welcome change for Perth two storey builders who specialise in building these types of homes. In our experience, many buyers looking to build 2 storey homes are actually investors who will either lease out the finished home or build and then sell for a quick profit, taking advantage of cheap land and great prices. Another common buyer of larger homes are the growing families who usually already own a home but need more space to accommodate children or extended family members. Sometimes families will try to save themselves money by extending their single storey home or alternatively they will go to the trouble of selling their small home and buying or building a new larger home. 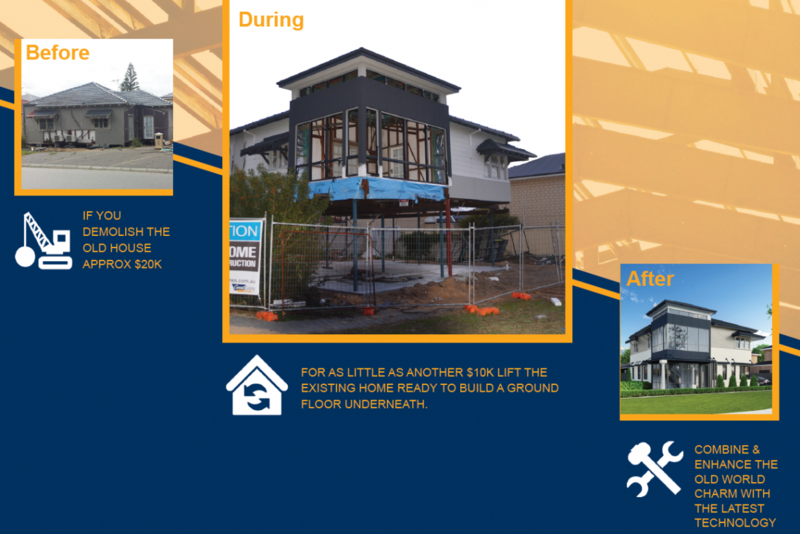 The great news is that there is one fantastic two storey builder Perth that is shaking things up in the construction industry by using innovative technology and unique building methods in order to provide a new type of service which can save homebuyers stacks of money while also allowing them to achieve their 2 storey home dream! You may have heard about how Great Living Homes construct their double storey homes by building the upper floor first on the ground and then lifting it up to finish building underneath. They have been using this method for many years already, resulting in faster build times, stronger homes and large cost savings due to the reduced need for expensive scaffolding, hoists and cranes. Now the team has just expanded their services to include second storey additions! Essentially this means you can now upgrade your single storey framed home to a double storey for the price of a new single storey home. You don’t even need to move your furniture out of the house while they lift it up and build. Great Living Homes will lift up your existing timber or steel-framed house and build you a new ground floor underneath which is also perfect for those people who may want to move their home on their block in order to subdivide and profit. There are no other 2 storey builders Perth using this technology, and as far as we know there are no other builders Australia-wide using the same construction methods that Great Living Homes uses. What are you waiting for? Get in touch with the team now and let them show you what they can do with your old framed house, you may be pleasantly surprised with the cost and the result!